From January to December Azkuna Zentroa is organizing BIdeOtik, a video cycle revealing ways of recording and representing everything around us while taking into account other audiovisual narratives. 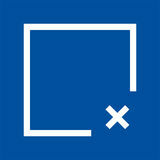 The aim of this programme, co-ordinated by Itxaso Díaz and Azkuna Zentroa, is to make visible video-generated works and projects materialised in a local, national and international context by people from the art, creation and cultural sectors using audiovisual language in a rather more personal, intimate and friendly manner. CULTURAL AND SOCIAL DIVERSITY - DEVELOPMENTS these are the areas which group the 2017 audiovisual works. Each monthly session will be visited by the authors, who will present their works, explain the process and inform about who has taken part in them. The BIdeOtik sessions will be held one Tuesday a month at 7:30 p.m. in either Bastida Hall or Atrium of Cultures depending on the screening. Admission €3 or €2 with Azkuna Zentroa card. gets mired in the sludge of oblivion by using formats that have not yet been institutionalised. A space in which viewers are physically transported to the place where the piece is located, thereby allowing them to immerse themselves in the contemplation of the piece, unaware of other issues, providing it with a frame, a place. A place where, in addition to hearing the explanations about the working process - the what, why, who, how or where - the viewer can have a dialogue with the authors, who range from students of vocational training centres, schools of communications or fine arts, to well-known artists at the national or even European level, emerging artists with short but intense trajectories trying to find their place in the (still) marshy waters of a world that understands that everything is video, but without distinctions, without filters. It is the price that must be paid to experiment with the creation process, to ignore the market, to refuse to comply with the established formats, to look for other channels that institutions do not know how to incorporate into their schedules. BIdeOtik is the answer to the need to disseminate but also to educate in an area of experimental creation that has been neglected and which coincidentally uses moving images, videos as the recording format. point between the three institutions and brings the creations of video-producers who exhibit here closer to the public. And for the third consecutive year we will keep the Developments section, where we invite different authors to make a selection and take a journey through their filmography. The artist Txuspo Poyo will be responsible for commissioning this section, thereby contributing to the expansion of the collaboration section, which we are extremely interested in fostering within the context of BIdeOtik. 02. The 3 proposals have the same common denominator, i.e. works prolong over time, not only due to their chronological journey but also to the meticulous analysis that traces have left engraved: time, identity and legacy criss-cross uniquely to speculate with a physical, sociological and environmental body within a moving environment, as well as with information, behaviours, mobility, imbalances and even collapse. Cecilia Barriga is an artist with a pronounced activist profile committed to gender, social and political movements. Since her earliest works like A meeting between two queens in the 1990s, the use of appropriation with a clear gender message, acquires an entire sense of cultural transference. In her project of the last decade, Cecilia has placed a camera inside the action, i.e. the camera is yet another element which takes part in what is going on, showing and recording what is happening. Cecilia takes part in the sessions of the offended in Madrid, New York and that of Chilean students in her work Three moments, one cry. pose whose body of work is its own family. It shows itself as generational and, at the same time, as a solid unitarian block with its uniqueness, where anthropological social and psychical values are represented. The camera is both inside and outside. The place has lost its importance in the staging, and the scenery invades in a more soberly fashion without any artifice. The lighting also acquires a hardness on isolating the background subjects, and occasionally the rest of the subjects as well; it may also act as an ally of complicity between them. Mira emphasises human affection in the face of its environmental austerity coupled with a certain metaphysical atmosphere. JANUARY-FEBRUARY-MARCH APRIL-MAY-JUNE-JULY The first section of the year is a large block which focuses on social and cultural diversity. 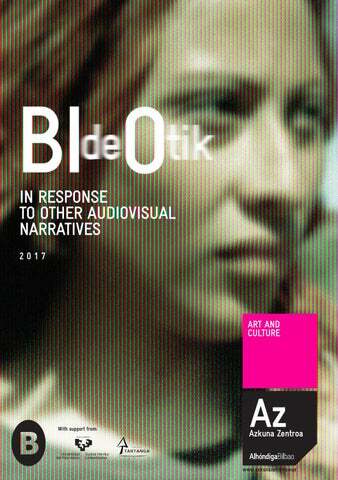 Audiovisual mediation understood as interpersonal communication, collective memory and shared identity will be present in several sessions of the BldeOtik 2017 programme. Historias de Mujeres, la copla del desamor, 2013-14. Who would you like to be? In 2013, a proposal was made to the Askabide association for a project focused on the social integration of women at serious risk of social exclusion. The idea was to work with Askabide, viewing the association as a ‘community’ made up of therapists, social workers, women users of Askabide and workers in the field of culture. The proposal consisted of producing a film where the women who chose to participate would select which film they would like to make and which character they would like to play. Askabide workers also participated, switching their roles to become the ones who responded to the women’s lines in the performance. Malkoak Eurian, la ciudad de los Drones, 2015-16. For Malkoak Eurian, a working space was proposed that involved various groups and practices. Bakuva, an association dedicated to the social integration of girls and boys from Bilbao La Vieja, a builder of drones and a group of art and culture workers, Zinema Pop. Future drone applications are created in a drone workshop based on real expectations, dealing directly with the developers. Throughout the process, we use filmmaking tools to imagine a future where drones are part of our environment. Laurita Siles (Marbella, 1981), currently lives and works in Enkarterri and Uribe Kosta, (Bizkaia). As an artist and researcher, her concern for the region spans everything from the environmental crisis to the nostalgia caused by the loss of roots. verses of the ‘bertsolaris’; the stew was then enjoyed by the citizens, followed by an after-dinner recital. On the other hand, the ‘Mutur Beltz’ documentary was the result of a tour through the hamlets where black-faced carranzana sheep are tended by shepherds and the encounters with women familiar with the traditional spinning practices of the valley. This project is part of the research work of the Mutur Beltz group - Sustatzeko Elkarte Agroekologia, Artistikoa eta Kultura - that is focused on rethinking new models of hamlets from the perspective of the creative experience. An art-based agroecological project. ‘Atrapados por la serpiente’ is a documentary project that revolves around creative drive and nostalgic imagination. A universal story starring the underground band Cancer Moon and its singer, Josetxo Anitua. A group from the independent music scene of the 90s ...Or not? Cancer Moon was founded in the late eighties in Bilbao. They released three studio albums after differences with some of the labels that had signed them, the last one (Moor Room - 1994) of which was chosen by Rockdelux as album of the year. Josetxo Anitua died in 2008.
and various musical scenarios). Furthermore, he is a designer of interactive audiovisual proposals within the social ambit, and collaborates with choreographers and musicians. He is also one of the most important VJs on the international scene. He considers an image to be a powerful narrative and a mediation element beyond those of classical audiovisual economy models. For the last decade he has also been an audiovisual teacher in the art department at Université Bordeaux Montaigne (France) and in advanced training schools for social workers. As a result of the collaboration between Azkuna Zentroa, UPV/EHU Faculties of Fine Arts & Communication and CIFP Tartanga, some of the artists exhibiting their works in this edition have taken part in workshops organised in these centres where audiovisual training is given. The June session will exhibit works selected by students and produced throughout the course. Some of these have been created after experience sharing with audiovisual artists taking part in BIdeOtik. OCTOBER-NOVEMBER-DECEMBER For the third consecutive year we will keep the Developments section, where we invite different authors to make a selection and take a journey through their filmography. The artist Txuspo Poyo will be responsible for commissioning this section, thereby contributing to the expansion of the collaboration section, which we are extremely interested in fostering within the context of BIdeOtik. Part of the audiovisual universe of film-maker Cecilia Barriga delves constantly into how our individual and collective identities are built and represented, as a result of either the imaginary drive of the intimate or the cultural political evolution surrounding us. This presentation includes works produced in the last 10 years, like El día del euro (2007), the story of a casual meeting of two elderly women in Zürich, who lived a love story in their youth; and an extract from her latest documentary Granada treinta años después, a look at independent critical feminism three decades after the women’s demonstration that took place in this Andalusian city, one of the milestones in feminism history in Spain. In addition, for those as yet unfamiliar with the artist’s work, we will be screening her cult piece Meeting Two Queens (1990). On this same year, Judith Butler’s Gender Trouble (1990) was published in the US as the most influential work on gender deconstruction and one of the film sub-texts. Fascinated by both the original material offered by audiovisual files and the small format capture as a language and technical recourse of speed and invisibility, her view captures the intimate solitary space of a person and the spontaneous performance of crowds, thereby establishing a constant tension between both spaces which drives the dynamics of her stories. places where you can appreciate the passing of time, tinged by a lonely atmosphere that some authors have identified with interior landscapes. Her large photographs are usually installed in the exhibition space generating a trompe l’oeil thus leaving the viewer in the antechamber of the spaces. We highlight her latest work Doom City. Montserrat Soto (Barcelona, 1961) studied at the Massana School in Barcelona, continuing her specialisation studies in Grénoble, France. Her first important exhibition was at Espai 13, Fundació Miró in Barcelona in 1993. Since 2006 Mira has combined his professional career between developing his artistic practice and managing Espaivisor (GalerĂ­a Visor). The execution of both these facets makes him one of the few professionals in Spain who is familiar with the ins and outs of contemporary art. As a result his vocation is divided between being an artist and art gallery director. SHOULD YOU REQUIRE ANY TECHNICAL ASSISTANCE TO ACCESS OUR ACTIVITIES OR ENJOY THE ACTIVITY WITH BETTER AUDIO CAPACITY, PLEASE LET US KNOW. AZKUNA ZENTROA SPACE IS ACCESSIBLE TO EVERYBODY. Before taking this pamphlet, please think about your environmental commitment and responsibility. If you are not going to use it, please leave it here, so other people can see it. www.azkunazentroa.eus info@azkunazentroa.eus PLAZA ARRIQUIBAR, 4 - 48010 BILBAO 944 014 014 Infopuntua and telephone are at your service: Monday to Friday: 8:00 a.m. – 10:00 p.m. Saturdays, Sundays and public holidays: 9:00 a.m. - 10:00 p.m.